Argentina flags date back to the nation's war of independence when they were designed by one of the country's leading revolutionaries. 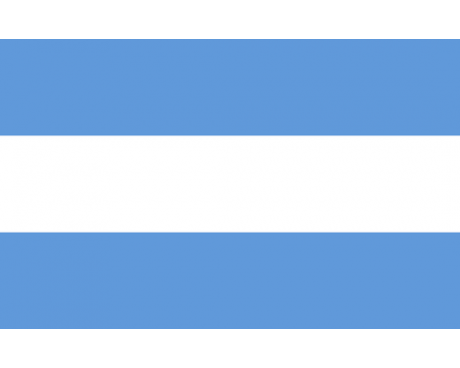 The modern flag is very similar to the original design, which changed very little even when the Argentinian government changed during the country's earliest days. In May 1810 the pro-independence movement initiated the use of the blue and white cockade. It was decreed the national cockade on 18 February 1812. Nine days later a flag in these colors was adopted. The blue and white symbolize the clear skies and snow of the Andes. The sun (added in 1818) is the Sol De Mayo (May Sun), the national symbol of Argentina. it commemorates the appearance of the sun in cloudy skies on may 25 1810, when the first mass demonstration in favor of independence took place. The flag with the sun was the state flag and the war ensign. Since August 16, 1985 is may also be used as the civil flag and ensign. 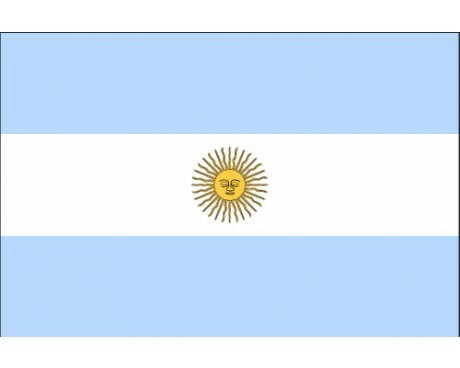 Flags of Argentina display the Sun of May on a horizontal triband of blue and white. The blue and white stripes are often said to represent the sky and clouds, but some historians suspect that they instead represent the loyalty that some early Argentinians leaders had towards the House of Bourbon that ruled in Spain. The Sun of May is a representation of Argentina and its people. It originates from the first coin to be minted in Argentina, which may have drawn on traditional representations of the Incan sun god, Inti. 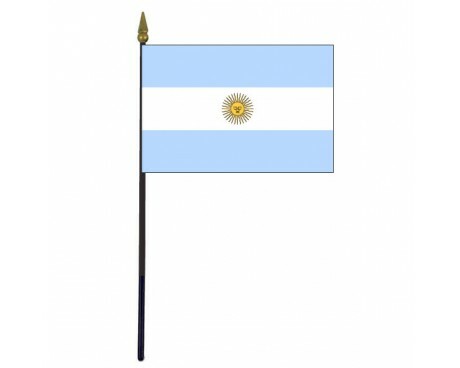 The history of the flags of Argentina begins when the nation began to fight for its political independence from Spain. An Argentinian general named Manuel Belgrano designed the flag for use as a military banner. 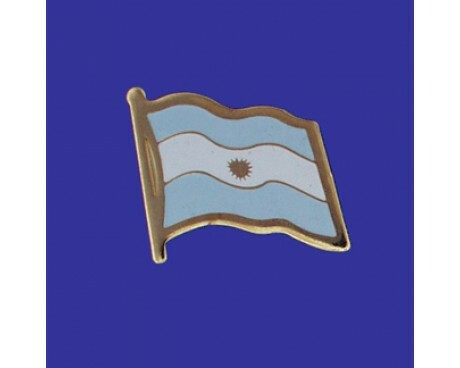 The Argentinian government did not immediately approve the flag for use as a symbol of the government, but it did approve it for military use. The flag was first used in 1812, when Manuel Belgrano flew it over the city of Rosario. This initial design resembled the modern flag, but it did not display the Sun of May. The flags saw immediate use in battle. The earliest surviving examples are known as the Flags of Macha, which Belgrano had been using as battle standards. He hid the flags in a chapel near the town of Macha when he realized that his foes were likely to capture them if he did not. The flags were discovered in the chapel more than seventy years after they were hidden, and they have been treated as significant historical artifacts ever since. 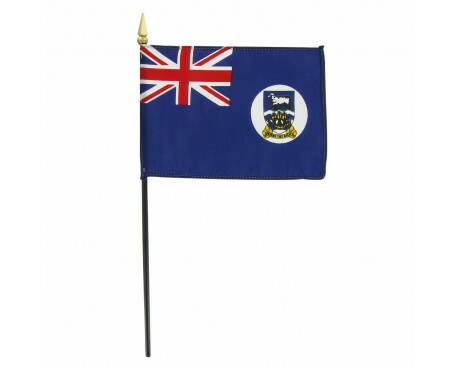 The flag was finally approved as the national flag in addition to the military banner in 1816. 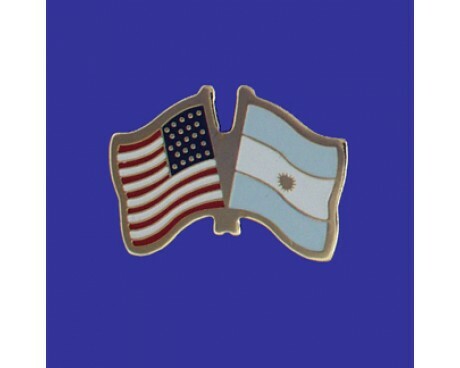 The government added the Sun of May to the flag two years after that, which created the design that modern Argentina flags still use to this day.